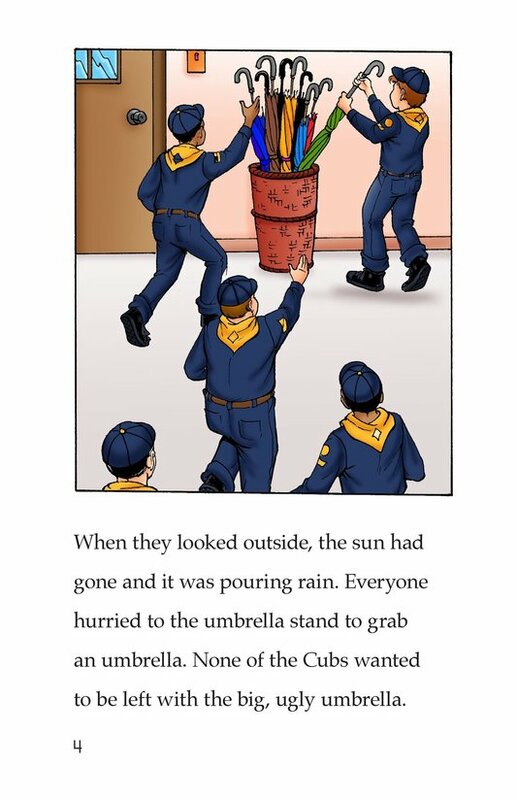 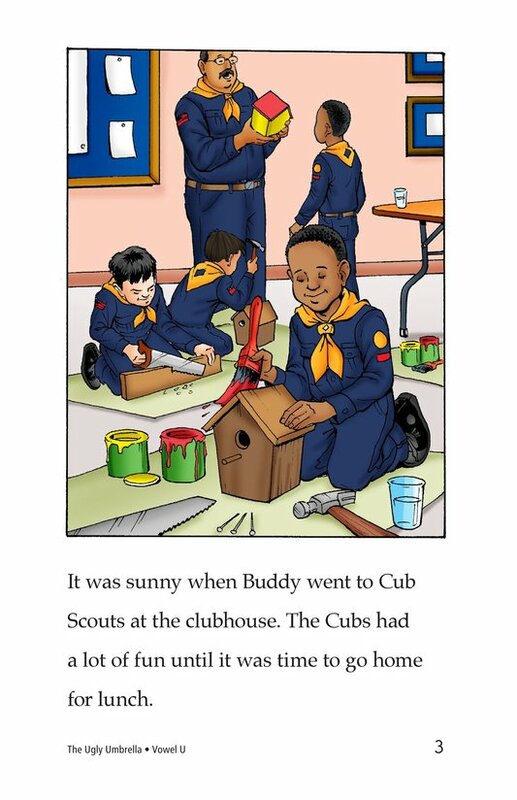 Buddy is stuck with the last choice of umbrellas as a Cub Scout meeting breaks for lunch. 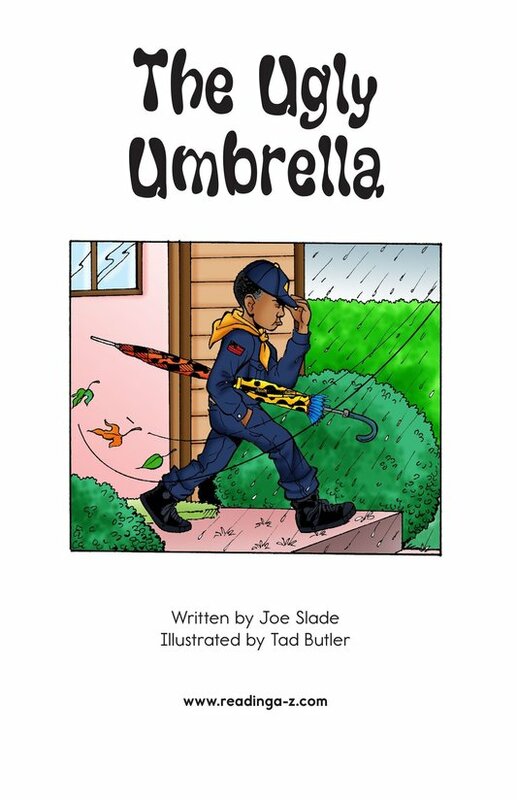 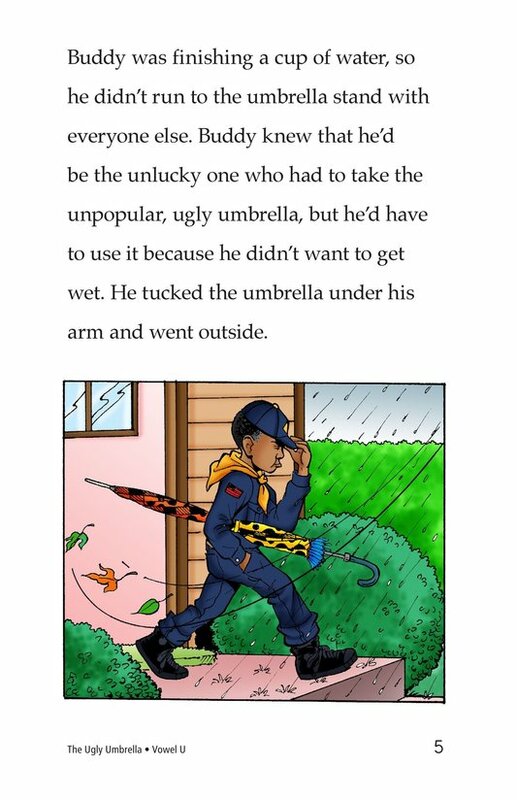 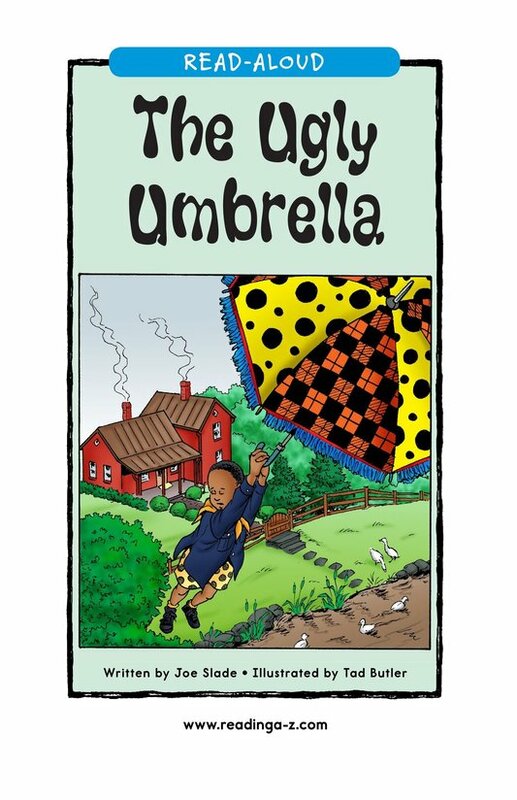 He has to use the dreaded ugly umbrella, but he figures it's better than getting wet in the downpour outside. 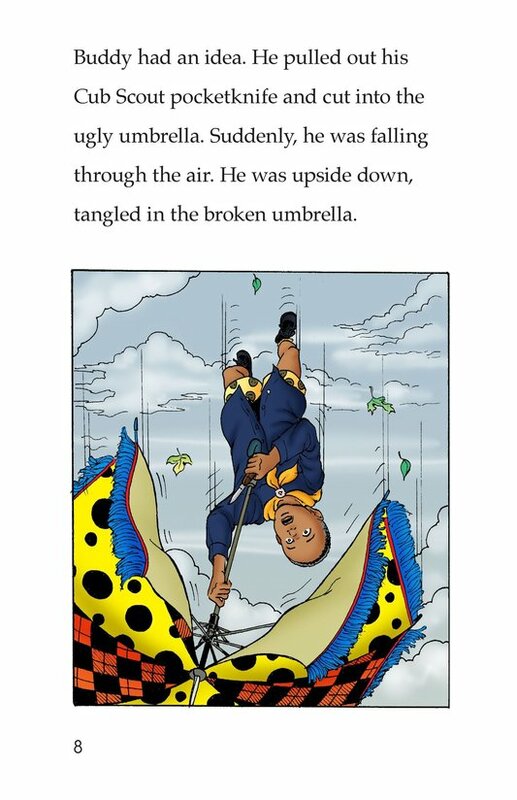 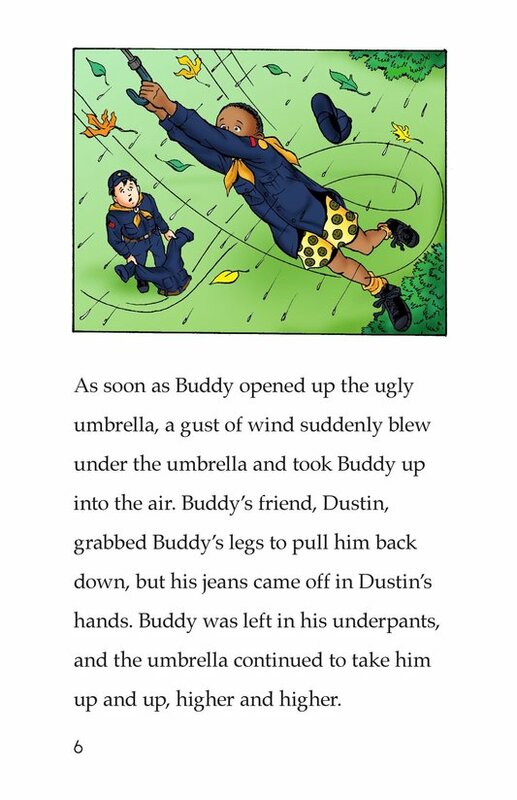 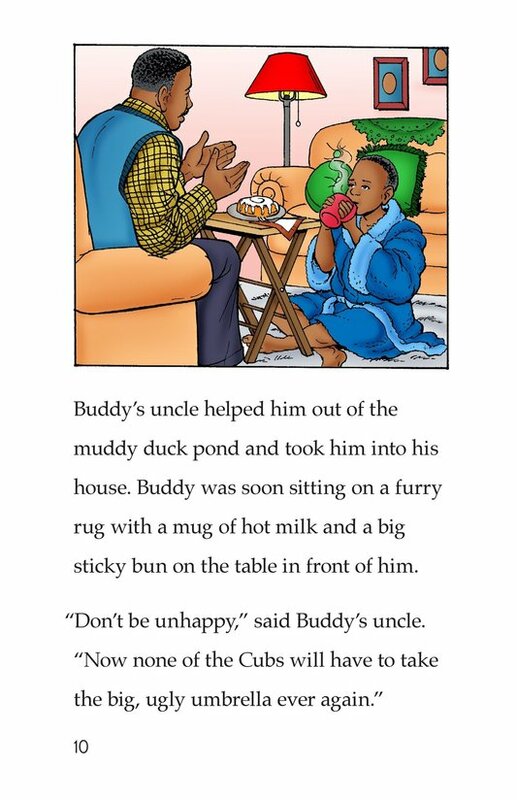 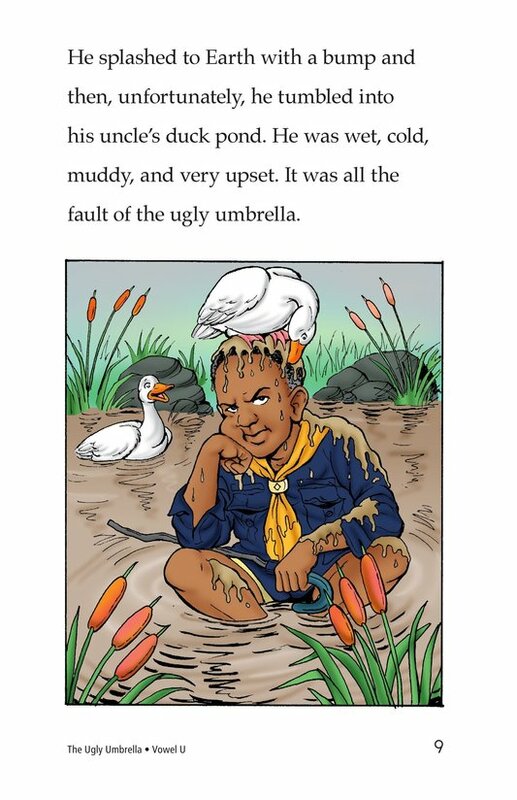 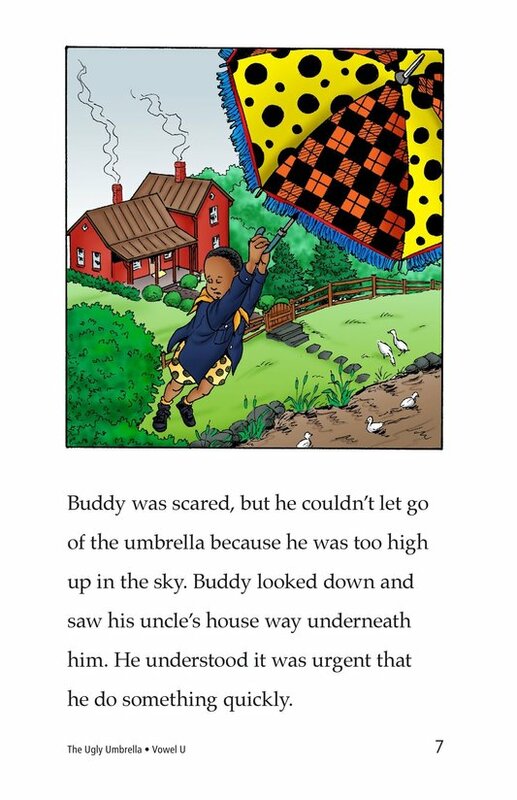 Then the umbrella gets caught in a gust of wind, Buddy goes on a miserable airborne adventure that leaves him regretting ever having picked that umbrella. 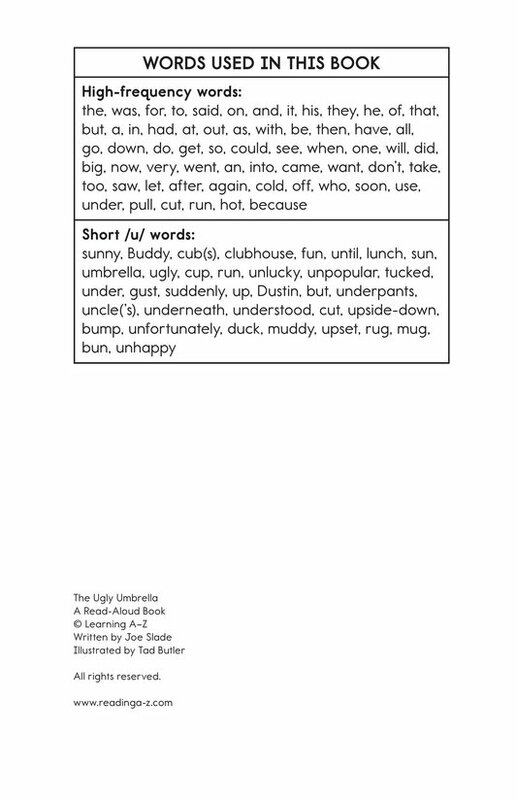 Introduce and expose students to the short /u/ vowel sound represented by the letter u.